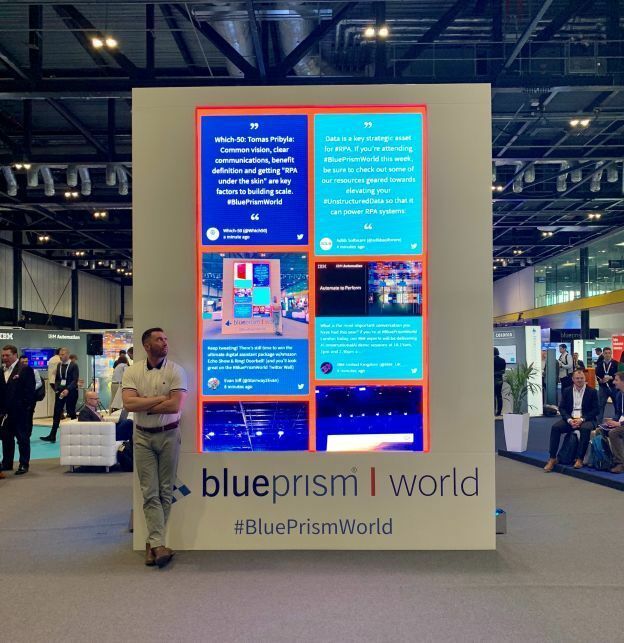 Blue Prism World London 2019 is officially over for another year – and what an amazing couple of days we’ve had at ExCeL London in the heart of Docklands. We’ve seen well over 2,000 people pass through the doors of the show, 20+ different partners and exhibitors in our packed Partner Village and a huge range of educational presentations, customer track sessions and networking opportunities for everyone who attended. 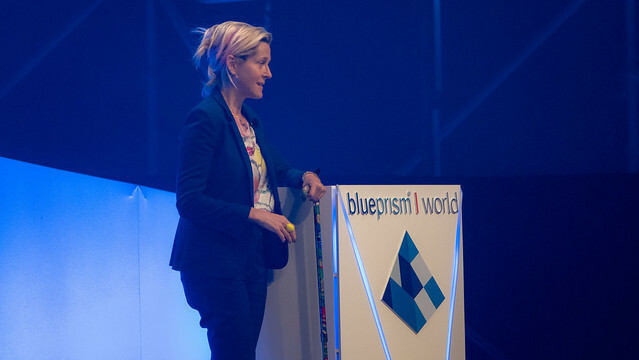 We’ve had some of the world’s leading automation and digital transformation experts gracing the stage here at this year’s Blue Prism World. Martha Lane Fox, CBE, digital founder, entrepreneur and Twitter director, launched our keynote sessions with her deeply personal exploration of the future of digital technology – and the need for a fairer, more human kind of internet. Dr Adam Rutherford, geneticist, author, and broadcaster, hosted the whole event and brought his unique (and humorous) slant on technology and automation to both days. Alastair Bathgate, Blue Prism CEO and co-founder, introduced Day One of the event, with his annual overview of what’s in store for Blue Prism, our product, and our valued customers. Dave Moss, Blue Prism CTO and co-founder, made the announcement of Decipher, a new product that sits within Blue Prism allowing customers to make sense and gain meaning from unstructured data. Derek Miers, Transformational Change Strategist at Gartner, was our closing keynote speaker, sharing his expertise and insights into digital transformation and the impact of business architecture on your automation strategy. We ran nine different customer track session over the course of Day Two – all aimed at giving attendees the practical knowledge and skills needed to take their automation to the next level, and bring the power of connected-RPA to play on their digital strategy. Attendees got to choose from either Connect, Discover or Create for each session, allowing them to focus on the track sessions that added the most value for them and their team. Connect – this track focused towards business leaders, looking at the ideal recipe for digital leadership when implementing your Digital Workforce. Discover – this track took an in depth look at the Blue Prism product, how we support your digital projects and our product’s capabilities going forward. Create – this track provided more hands-on practical advice regarding product implementation and how to put Intelligent Automation to work in your business. It was amazing to see these sessions so well attended and there was a definite buzz across all three tracks, especially around the customer stories from our valued Blue Prism Customers. Social media has played a big part in this year’s show, and we’ve been blown away by your tweets, photos and comments from across the two days of the event. It’s been great to see your messages flashing up on our ‘Twitter Wall’ in the Partner Village. Blue Prism World is all about sharing ideas and connecting with people – and we’ve been extremely pleased to see the Partner Village and meeting points so busy over the two days. There’s been a wealth of opportunities to explore the exhibitor stands, see product demos and take part in our very popular customer track sessions. And we’ve enjoyed bringing you 2019’s bigger and better conference at the prestigious London ExCeL centre – the bar has been set high for our next Blue Prism World in Orlando on May 22nd-23rd. We hope you’ve come away from the show with a renewed sense of engagement for connected-RPA, Intelligent Automation and the digital future of your organization.